The weakest glue joint is end grain to end grain. When you make a plug with the grain going the same way as the body the longest two sides of the plug will be end grain to end grain. 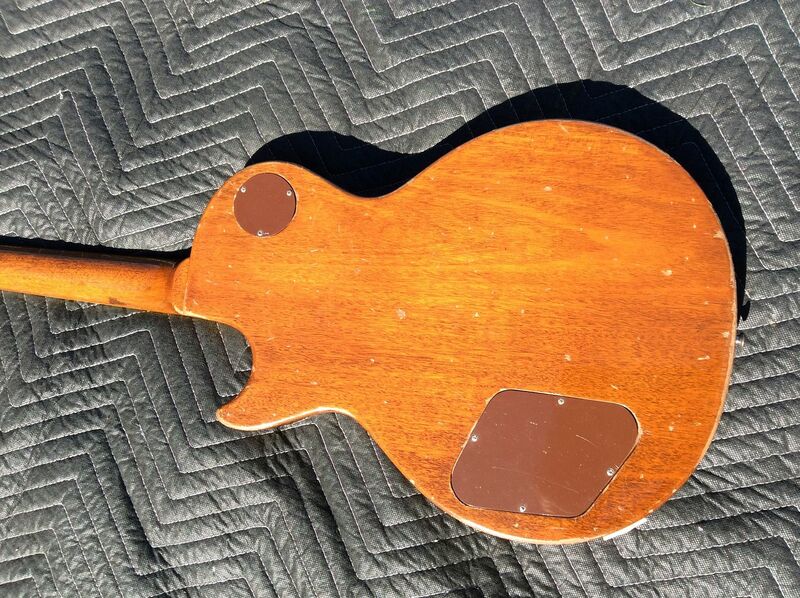 For a goldtop finish where you don't see the grain match I do it like in this thread. When I make plugs that will get a sunburst finish I will always make sure the grain of the body and plug go the same way and match up. I'm not worthy...that is in a word...greatness! That's awesome, way to bring that one back from the dead! It looks fantastic. Awesome thread! Any chance we can hear this one? 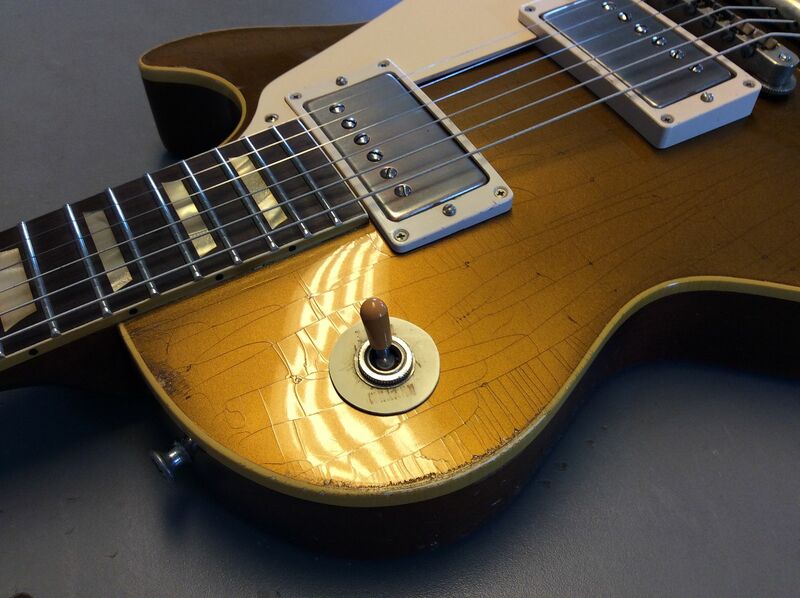 The fingerboard on the guitar is not the original board. 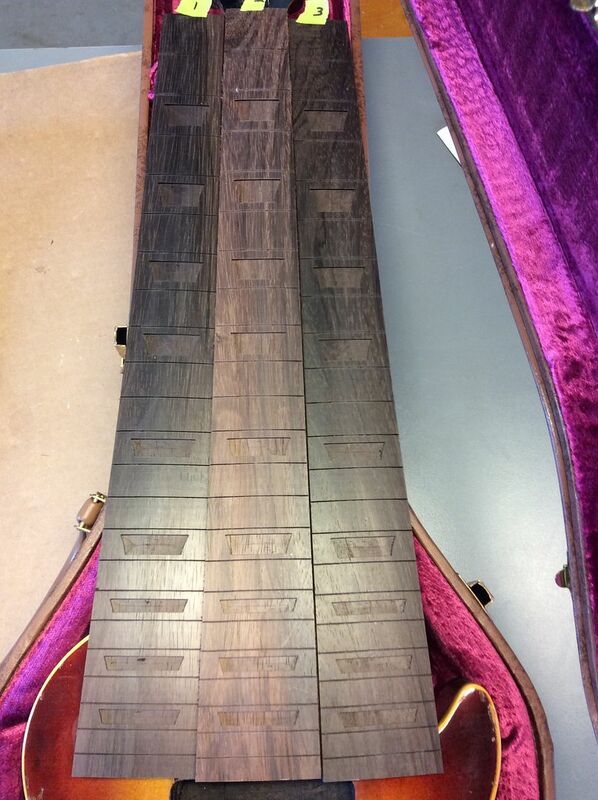 I'll make a new Brazilian fingerboard so it matches up to the width of the mahogany neck. The owner had his pic from these three. Based on the color of the burst I would’ve used the fingerboard in the center. Curiosity has me here Jim, which one did he pick? 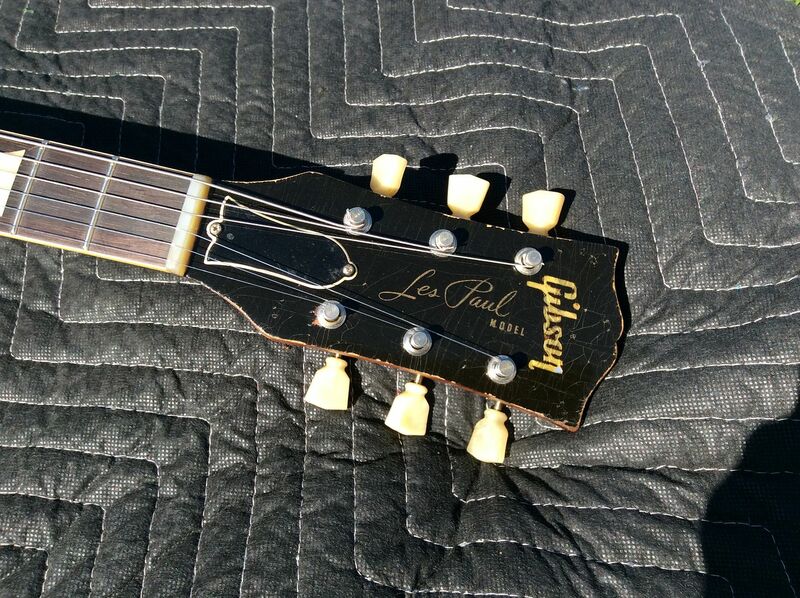 Also, neither headstock has the original tuners. Will you replace those with originals after paint? Thanks for taking the time and making the effort to document. I know that's a lot of extra effort. We are very fortunate to be able to see "step by step" such incredible transformations. Thank you very much for sharing with us! I was just at Kim's a few weeks ago and if that's one of the GTs he showed me, it looks outstanding! Next I'll clean up the neck pocket. 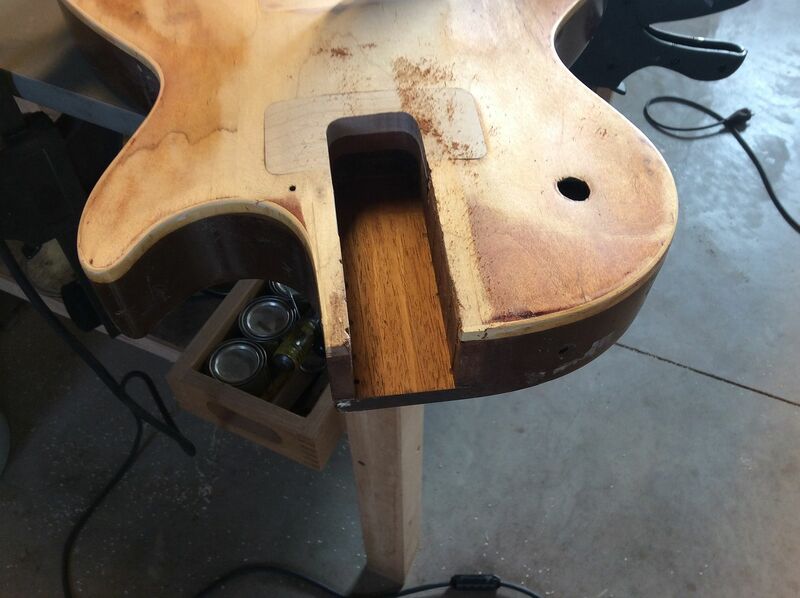 Touch up the bottom of the mortise. 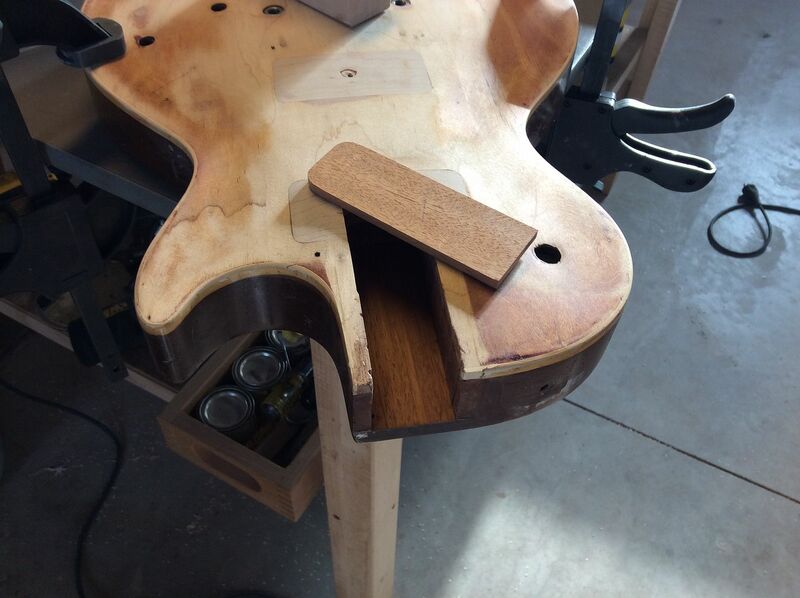 I'm gluing a piece of mahogany into the neck pocket. This is to replace the 1/32" to the thickness of the neck when I sanded out the etched serial number on the heel. I'm a little confused by this one - I guess I'm not seeing the relationship between the pocket and the bottom of the neck heel. OK here's the finish project. 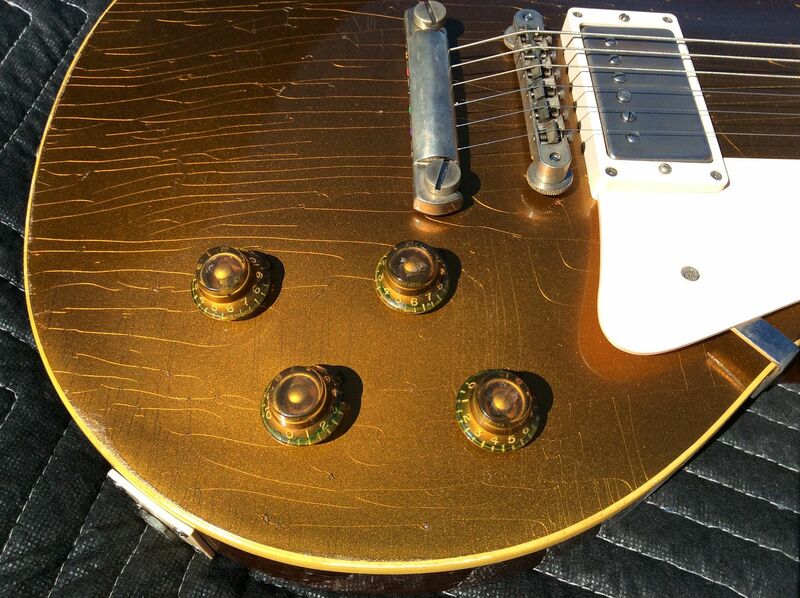 My friend Kim at HM did the goldtop finish & aging. 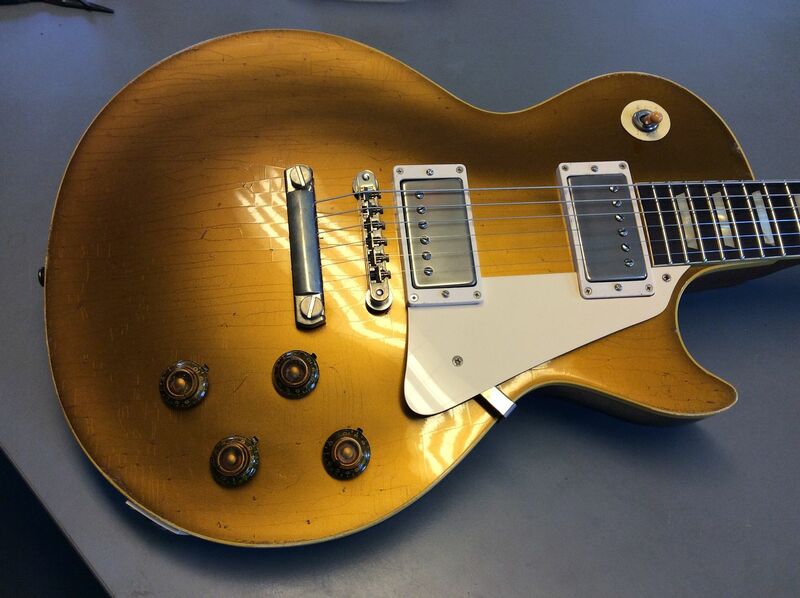 It sounds great with the original 57 PAF's....!! Nice! What approximate year is the GT in the first pic?? 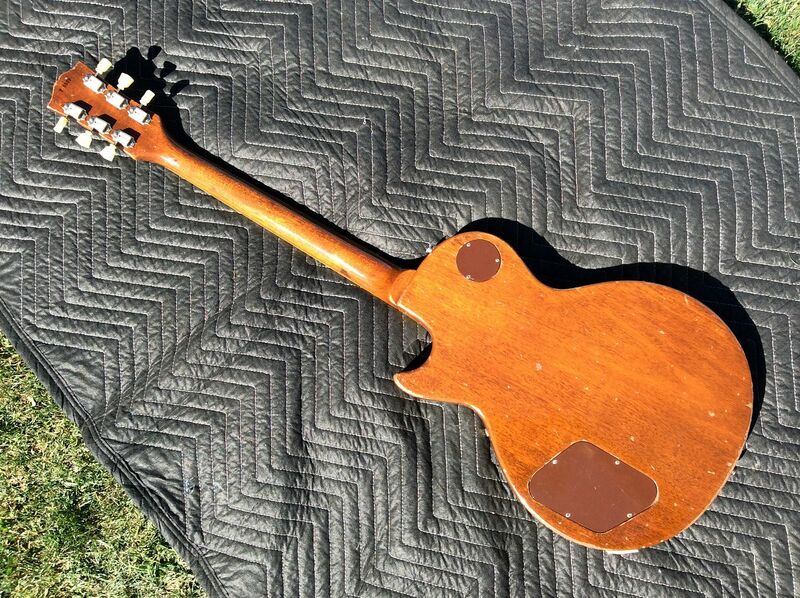 Looking at post #24 I see that the “Les Paul Model” has been sanded off. In post #44 it reappears and looks like it is the original. How did you ackomplish this Jim? All this in the middle of Winter! Jim you really made it look like fun! Great job, the owner should be over the moon!!!!! Thanks for creating this thread. It is really inspiring (and interesting) to see thoughtful, meticulous work like this. It's a rarity. 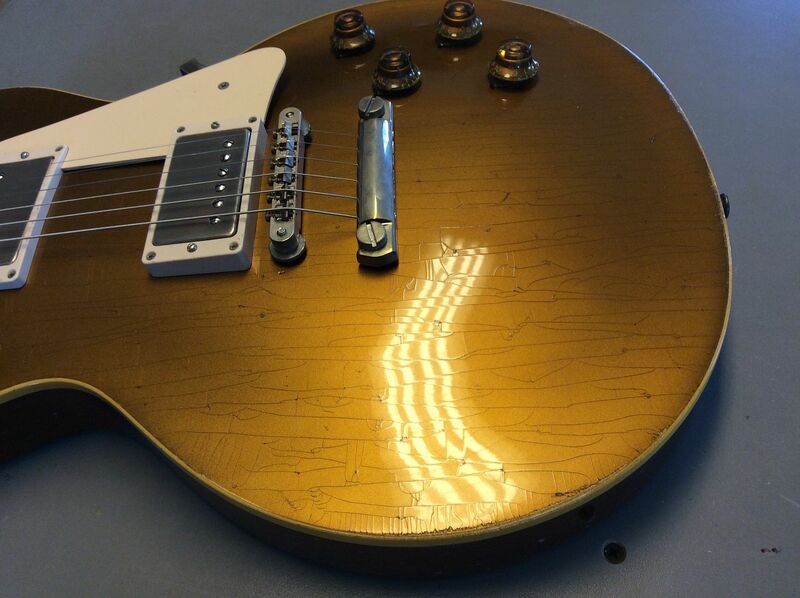 I have a particular love for restored and converted guitars when they're done really well. The hack jobs abound; great work like this is rare. 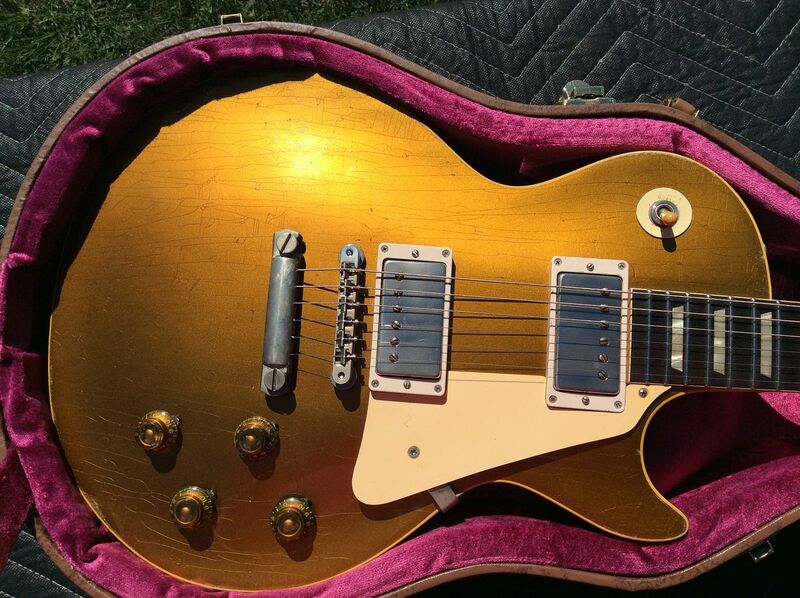 Their Goldtop color and metallic texture is spot on, but their unconscientious and unprofessional work on two of my vintage guitars probably cost me $20,000+. It drives me a little nuts that the checking isn't horizontal. Great job on the conversion, though! Amazing work! Thanks for sharing. Question! What is a ballpark figure to do all this work (if I might ask)?